1.If our customer have any question,please contact us ,we will try our best to help you. Display current sensor data, including: Engine RPM, Calculated Load Value, Coolant Temperature, Fuel System Status, Vehicle Speed, Short Term Fuel Trim, Long Term Fuel Trim, Intake Manifold Pressure, Timing Advance, Intake Air Temperature, Air Flow Rate, Absolute Throttle Position, Oxygen sensor voltages/associated short term fuel trims, Fuel System status, Fuel Pressure. 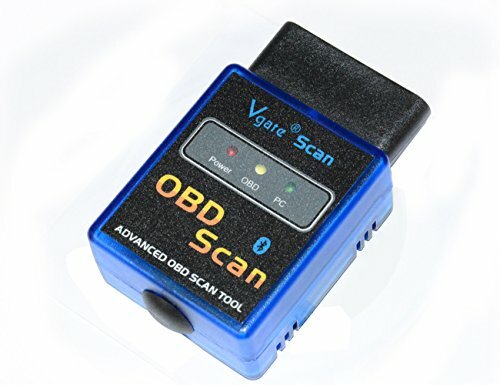 The OBD2 scan interface will quickly send data to your android mobile phone or windows laptop from your vehicle in real time.Read diagnostic trouble codes, nonspecific and manufacturer-specific, and display their meaning (over 3000 generic code definitions in the database). 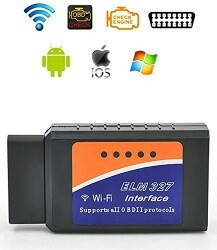 Compatible Operating Systems of this OBD Bluetooth device include: Windows XP, Vista, 7 32-Bit 64-Bit; Compatible Phones: Android, Symbian, WP Smartphones, NOT FOR USE WITH iOS DEVICES! Any question,please email us,we response you within 24 hours.Support OBD-II protocols: ISO15765-4 (CAN), ISO14230-4 (KWP2000), ISO9141-2, J1850 VPW, J1850 PWM.For your vehicle to be OBD II compliant it must have a 16-pin DLC (Data Link Connector) under the dash and the Vehicle Emission Control Information Label must state that the vehicle is OBD II compliant.